Parle-G is always there in my life, like a fast friend, sharing both sad and happy moments of my life. The farthest memory I can think of, when Papa used to pack us Parle-G in our tiffin along with Frooti in Ma’s absence, and how he used to fake in front of Ma that he have had some kind of special dish for tiffin. Moreover, how Ma catches his falseness, and asked us, do we least have the Parle-G. In my recent trip to Vrindavan, I encountered with my lost friend again. We, Kamal and I, stopped by a dhaba to take some rest before we ride back to Delhi. Here, we ordered chai and biscuits and the man came up with our order in a minute or so. The biscuits seem familiar but they have had Chhota Bheem debossed on them which kind of cute and stupid. Nevertheless, when I took my first bite, my doubt was clear, it’s Parle-G, and when I asked the man, he approved of my discovery. Before leaving the dhaba, there was one more shocker left. I bought four packets of Parle-G and it billed at Rs. 20, translating Rs. 5 per nos. The pricing blew me up, the price has not changed much since I bought first Parle-G by myself at Rs. 4. Though packet size has been shrunk considerably, but biscuits taste same. Blame it on inflation for reduced size. When I was home, in free time, I researched about Parle-G, how they started and how journey is still going on. Here are some random things that I have learned from my Parle-G research. 1. Parle-G is Older Than India. Parle started manufacturing Parle G biscuits in the year 1939, and India became independent in 1947 after 200 years of British Raj. Toh hua na, Parle G older than India. 2. G Means Glucose, Not Genius. Remember Parle-G, G Mane Genius advert. In reality, it is not what they advertise, G in Parle-G means glucose, not genius. Parle-G changed their name from Parle Gluco to Parle-G somewhere around 1980s, just to add hip factor. However I still don’t mind in saying G Mane Genius, Ting, Ting, Tiding. 3. Travel To The Moon And Back. 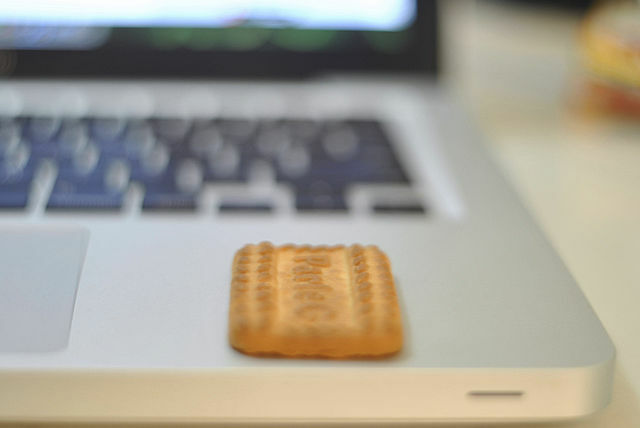 If you stack up all Parle-G packets produced in a month, you can travel to the moon and back. They produce more than one billion Parle-G packets in a month time. If you stack Parle-G packets produced in a year, adjacent to each other, you can circle the earth 192 times in a year. Yup, every second, somewhere in some part of the world, having the Parle-G. If we go by production stats, 4551 people are eating Parle-G right now. Even you can count me in, I am eating Parle-G while typing down this post. 6. It’s Bigger Than China. If you go by year 2009-10 data, Parle-G produces more biscuits in a year than China, the fourth largest biscuit consumer can eat. [Read here]. 7. Parle G girl is just an art. According to an urban legend, spread thanks to Quora, the girl featured on wax wrapping of Parle-G packet is Neerja Deshpande of Nagpur. The anonymous post describes her as of 4 years and 3 months when artist captured her in his imagination. 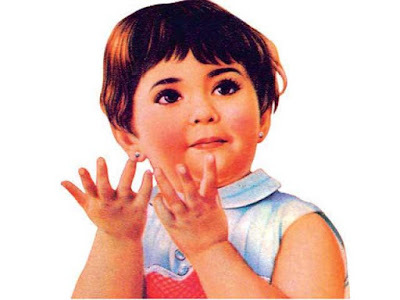 But it came to end, when Mayank Shah, group product manager at Parle Products, denied all stories by saying, the featured kid is just an imagination of the artist. Moreover, artist never commented she is a girl or not. Hope you loved the story. If yes, please share the post and have some Parle-G.